The festive season has arrived and the team at Champs-Elysées Day Spa understands the importance of offering a thoughtful gift from the heart. What could be more meaningful than a voucher treating your loved one to an unforgettable experience that is all about making them feel truly special? www.champs-elysees.co.nz and sent directly to you or a loved one. Every purchase before 22 December goes into the draw to win a luxury prize package from Pure Fiji valued over $200! 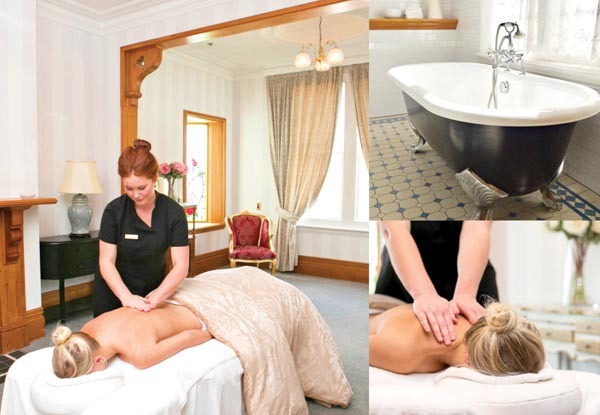 The Exotic Island Spa Retreat is the newest luxury pamper package featuring Pure Fiji products. Choose your favourite Pure Fiji infusion, then surrender to pure pampering designed to transport you to blissful tropical paradise. Treatments include a relaxing back, neck and shoulder massage, rejuvenating foot soak, scrub and massage, and a luxurious exotic island facial for just $199! The Champs-Elysées Diamond Club ensures 12 months of ultimate luxurious pampering with exclusive benefits such as a luxury spa party, and invitations to VIP events. A delightful range of beautifully packaged retail gifts at an equally delightful price is also available. Champs-Elysées Day Spa are counting down the 12 days to Christmas with an assortment of 12 glorious skin care and beauty products, as well as a luxury Champs-Elysées gift voucher, that one lucky person will win on Christmas Eve. Keep an eye on their social media for your chance to win! Phone 03 365 3630 for further information.